There is nothing like a frankie that makes it an easy dinner idea. 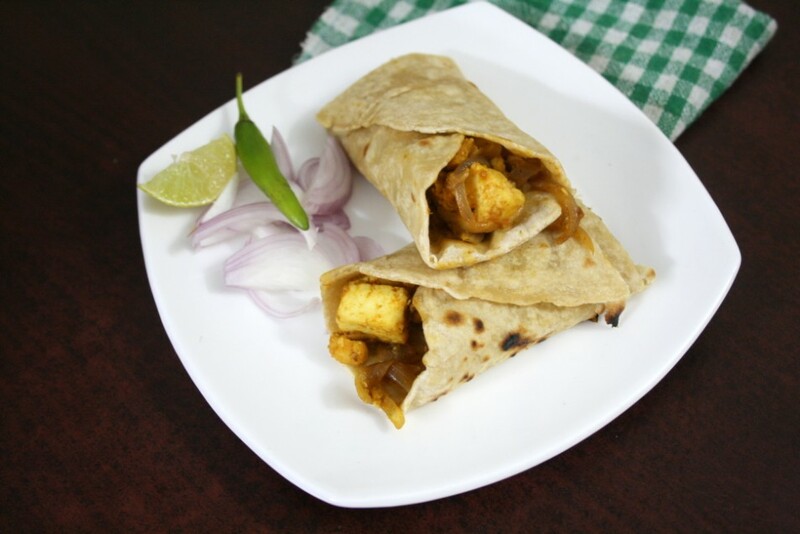 I have already posted a Paneer Frankie with tomatoes and masala, while today’s recipe is just with double dose of onions. 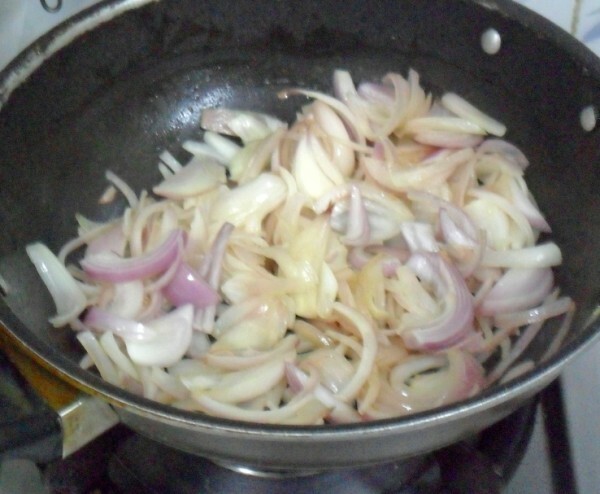 The crunchy onions makes up a great meal. 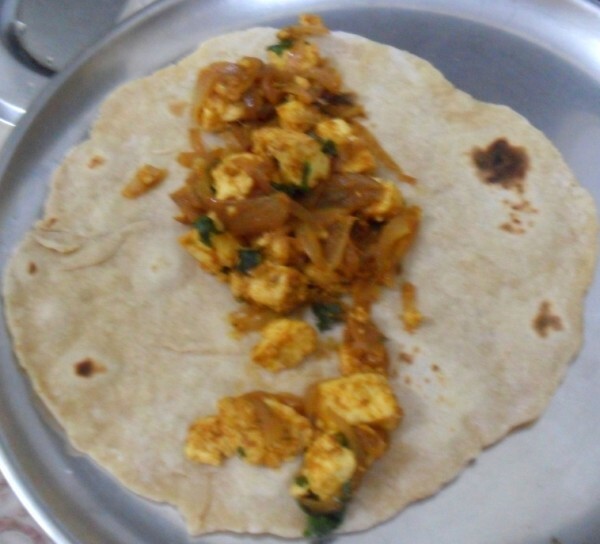 With just two of us, we had lots of milk overflowing and paneer was the only option left for me to make. So the huge cubes that got done, was made into the stuffing for this Frankie. I know it’s same as making a roti and serving the paneer on the side. Yet there is this thought that making a wrap out of it, makes it look so sleek and neat. The entire thing took me just about 15 mins to get done. Soak the paneer in hot water. 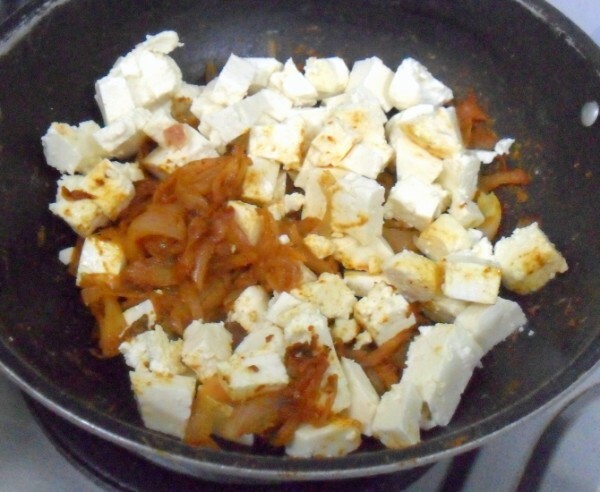 Cut the paneer into small pieces. 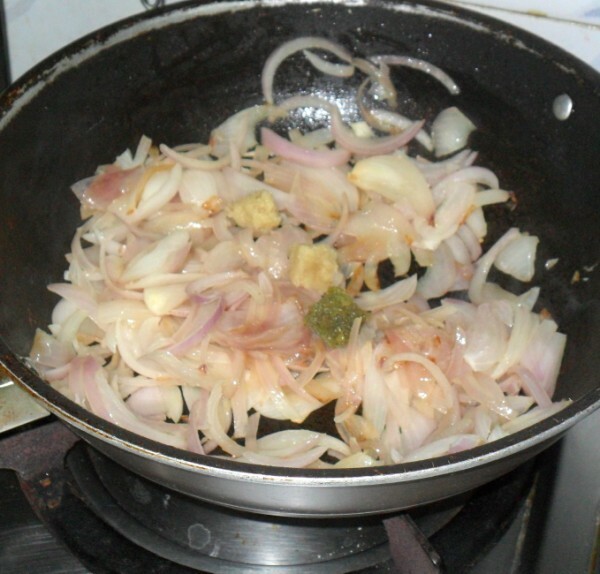 Heat a Kadai with oil, saute the onion julienne till the onions turn brown. Next add the ginger garlic paste, chili paste. 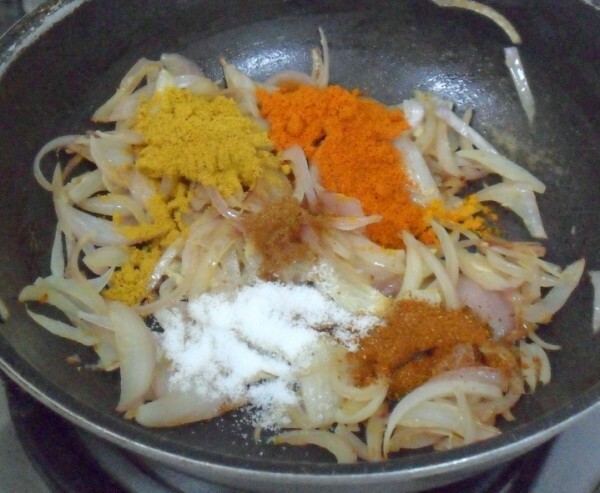 Once the paste gets cooked well, add all the spice powders. Mix well and simmer for 5 mins. 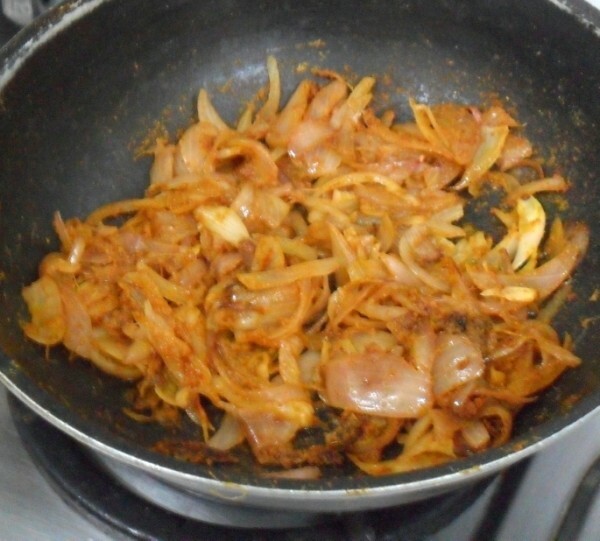 Sprinkle few drop of water so that the spice gets mixed well with the onions. 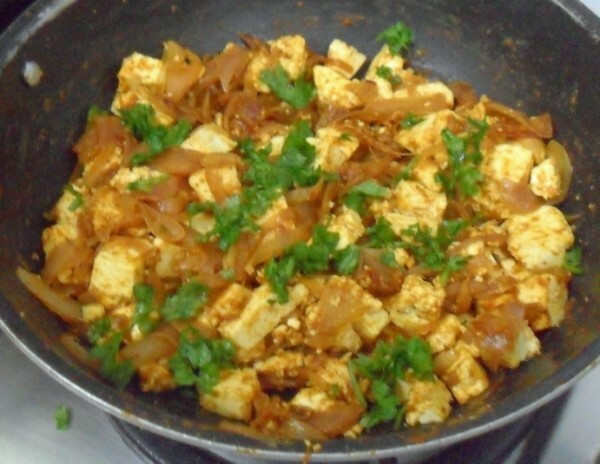 Add the paneer pieces and combine everything together, finally add the coriander leaves. switch off the stove. Knead the flour into soft pliable dough. Divide into small balls and roll out into thin discs. 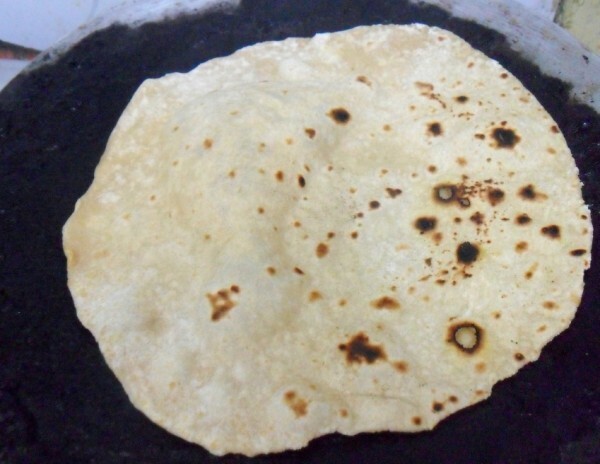 Heat the tawa and cook the wraps on both sides. 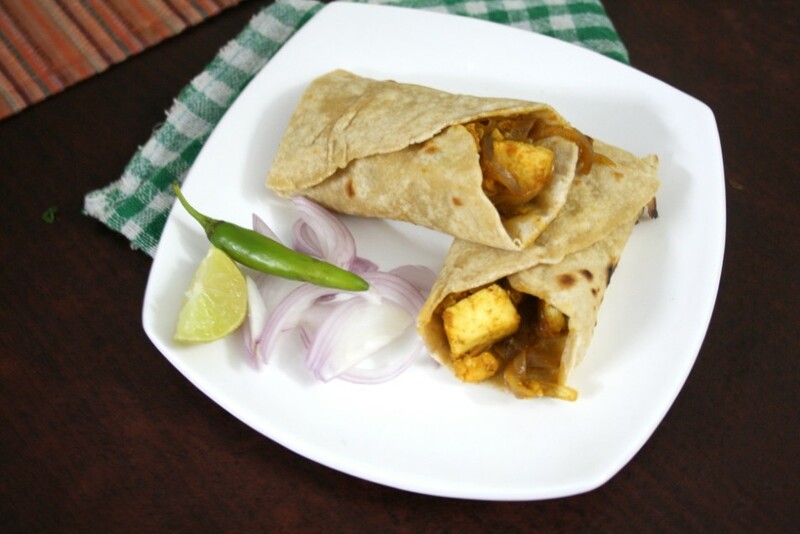 Place the paneer filling in the middle and roll it tight. Delicious rolls… simple and filling..
looks tempting n yummy filling….